Carpet 101 > How much carpet do I need? Estimating for new carpet may seem confusing. Most rooms aren’t perfect rectangles, so it’s hard to measure. Then when you go shopping, some prices are in square feet, some are in square yards. And what about padding and installation? How do you know if you’re comparing apples to apples? Help is here! With a little homework before (or after) you head for the store, you can simplify the process and carpet shop like a pro! Call and make an appointment with our team for a professional measurement. You’ll want the measurement of the space to be carpeted as well as an estimate of the total amount of carpet you will need. Some carpet is sold by the square yard. There are nine square feet in a square yard. So if you have a measurement in square feet, you can easily convert to square yards by dividing by nine. If you are looking at a square-yard price and want to know the price per square foot, also divide by nine. See, you can do this! So now that you know roughly how much carpet you need, all you have to do is multiply the carpet price by the area and presto, you know how much the project will cost, right? WRONG! There are a few additional costs to consider. Your flooring retailer is your friend. Yes, we said that already, but it’s worth repeating. We’re here to help you plan your project from budgeting to product selection and on to installation, including additional materials needed like padding or underlayment. Talk openly with us about any unforeseen costs your installation job may require so that you can create a more dependable estimate. Let us know if you’ll expect us to install trim and transition pieces and touch up paint. 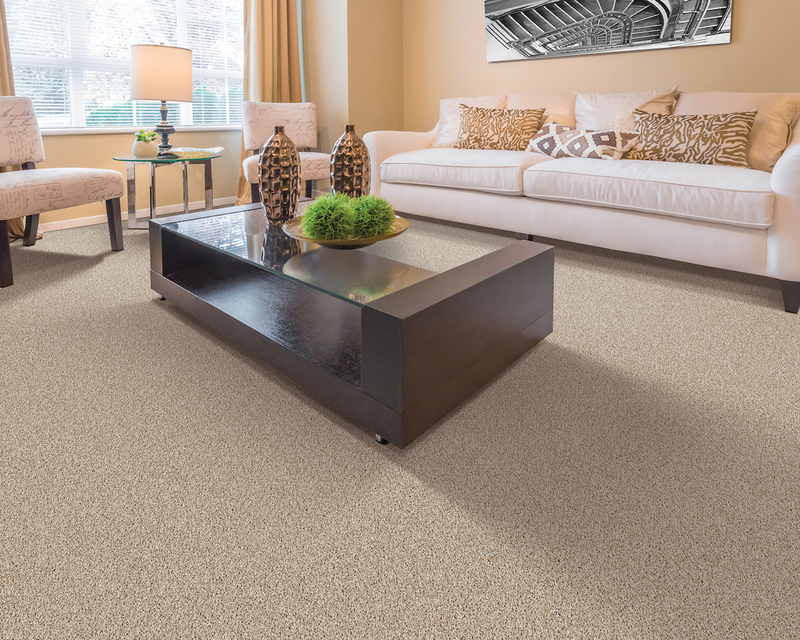 Padding and installation may not be the beautiful, exciting part of the carpet buying process, but they are vital to a successful carpeting project. Padding can make a carpet feel completely different under foot, help it perform better, and make it last longer. And many carpet warranties require both padding and professional installation. Be sure to read the fine print before you make any final decisions. If you’re comparing prices, figure the total cost of carpet for your estimated square footage, then add the cost of padding and installation so you can compare apples to apples. Another hidden cost may be lurking under your current flooring. Subflooring issues can occasionally add hefty costs to flooring projects. Although carpet is one of the most forgiving flooring types when it comes to subfloor condition, you don’t want to be caught off guard. Walk around the areas to be carpeted. If you notice any spots that feel raised or that sag under foot, you should have them checked out before you plan your carpeting project. Water damage, failing joists and other issues can make your schedule and budget fluctuate, especially if they’re discovered too late. Waking up on installation day to learn that you’ve completely blown your budget on flooring is a surefire way to take the fun out of any home renovation project. Take the time to do your homework and piece together a best-guess estimate for the final cost of your entire flooring project before you make a purchase. That will help ensure that you don’t encounter unhappy surprises. Once installation gets underway, it’s late to switch gears, so make sure to thoughtfully estimate cost ahead of your purchase. If necessary, you’ll have plenty of time to halt the process and consider more affordable options.